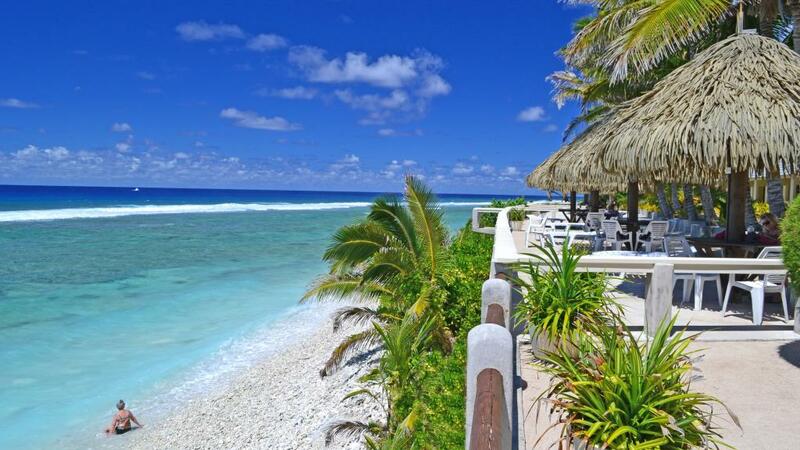 Club Raro offers good value for money. The staff provide a great, friendly holiday vibe and make great cocktails! A quick walk into town or the bus out the front provides easy access to the rest of the island. Rooms are basic but clean and roomy enough for two. Will stay at Club Raro again in the future. First impressions can some time be misleading, initial thoughts of the hotel were that it was in the lower side of a 3 star, sure we were not expecting the Hilton but the rooms could do with a bit of a spruce up. What wasn't mentioned was that the hotel employes 6 star staff, I have travelled extensively to many of destination and I don't think I have every met staff that will go out of their way to ensure that you enjoy your stay more than the customer contact people we met including the breakfast area staff, the ocean view pool bar staff, the front desk and even the chef they were all truly amazing. The food and drinks were to die for and we can honestly say we could not complain about any of them. Providing you can except the hotel for what it is I am sure all visitors would have a wonderful time, and yes we will be returning next year!!! We stayed at this property one night on our way to Ataitaki. We were picked up on time from the airport shown to our room with minimum fuss. The room was clean and comfortable. The wake up call was on time and we were transfered to the airport to catch the early plane. They made our stay as comfortable and stress free as they could even though we were only staying a very short time. We did not use the facilities the property has to offer. we had a fabulous stay and great service!!!!! Derek the manager was so helpful,hotel and room great,fantastic value,breakfast and all meals great,we had a marvelous time hired a car with polynesian car rental a nissan march convertable wind in the hair and all that!!!!!! we will go again if we get another great deal like the one we got,.thankyou again for giving us both this great holiday,couldnt have done it without you.thanks clare. ps if you go on holiday with no expectations and dont take any notice of the unkind reviews posted,you will have a great holiday!!!!!!!!!!!!!! !